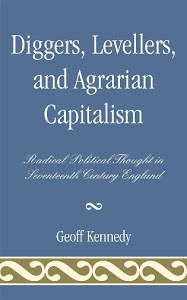 In light of the new Syriza government’s difficult struggle against the German dominated institutions of the Eurozone, I’ve revisited a little known book published ten years ago by political scientist Richard Dunphy called Contesting Capitalism? Left Parties and European Integration (Manchester University Press, 2004). In the book, Dunphy charts out the trajectory of the European Far Left’s relationship to European integration. While at the time the book seemed to fly under the radar (this was just before the French and French rejection of the Lisbon Treaty in 2005 and the rapid accession of a number of new member states in the previous year), the issues addressed by Dunphy seem increasingly more relevant as the crisis of the Eurozone proceeds unabated. The fourth position is what Dunphy calls the ‘weak reformism’ of the uncritical pro-integrationist left. This space is occupied by the now moribund parties of the Social Democratic centre-left. Their uncritical commitment to the so-called ‘modernizing’ project of European integration has led them to abandon any serious discussion of building socialism and has allowed them to establish a common cause with the parties of the European centre-right, forming what Tariq Ali has called ‘the radical centre’. It is the first three positions, and in particular the feasibility of maintaining the second position – which seems to be that of the anti-austerity parties like Syriza and Podemos – that are of most interest. In particular, the ability to maintain a critical stance towards the neoliberal character of the EU while not rejecting the EU outright and resisting the slide into the ‘strong reformist’ position, which increasingly seems implausible, appears to be the challenge that faces parties like Syriza. As I progress through the book, I will continue to post some of Dunphy more interesting insights.